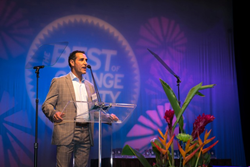 The Orange County Register has released its nominations for its 2016 award categories, and Dr. Sadati is again among those listed. In 2015, he was ranked in the top three by the Orange County Register for providing exceptional care and services to his many happy patients. 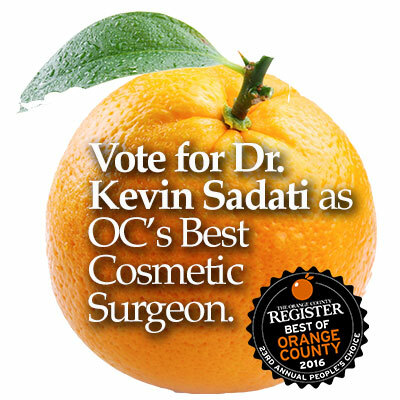 Dr. Kevin Sadati has been named as a candidate for the Orange County Register’s Best Cosmetic Surgeon award for another year in a row. In 2015, Dr. Sadati was nominated and was eventually listed in the top three list for Best Cosmetic Surgeon in Orange County. Each year, the Orange County Register compiles a list of the “Best of Orange County” as voted on by local readers. The list includes a variety of categories, like Home & Garden, Luxury, Medical Services, Food & Drink, and much more. Like last year, Dr. Sadati has been listed as a finalist for Best Cosmetic Surgeon, which falls under the Luxury category. Voting is open for Orange County residents from May 1 to June 3. Residents are allowed to vote only once per day. While choosing the “Best of” Orange County is exciting enough, five voters will be randomly chosen for a $100 prize! This special prize will be awarded to those who cast votes in at least 10 categories. Dr. Sadati ranked in the top three Best Cosmetic Surgeons in 2015, which shows just how much his patients love him, and how much his peers respect him. Dr. Sadati is considered a local Orange County leader, and has earned his title by providing patients with a wide range of cosmetic and reconstructive surgical options. With over a decade of experience, and over 3000 lower face and neck lift procedures alone, Dr. Sadati is known for his skill and top notch service. Not only does he provide excellent service, but he has also developed and published new techniques to help patients achieve more natural and youthful looking results. 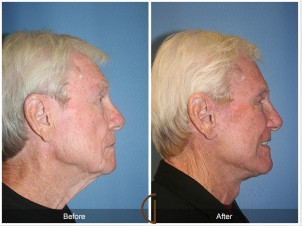 One of his most popular developments is his breakthrough facial muscle tightening technique called the “Double C” Plication. 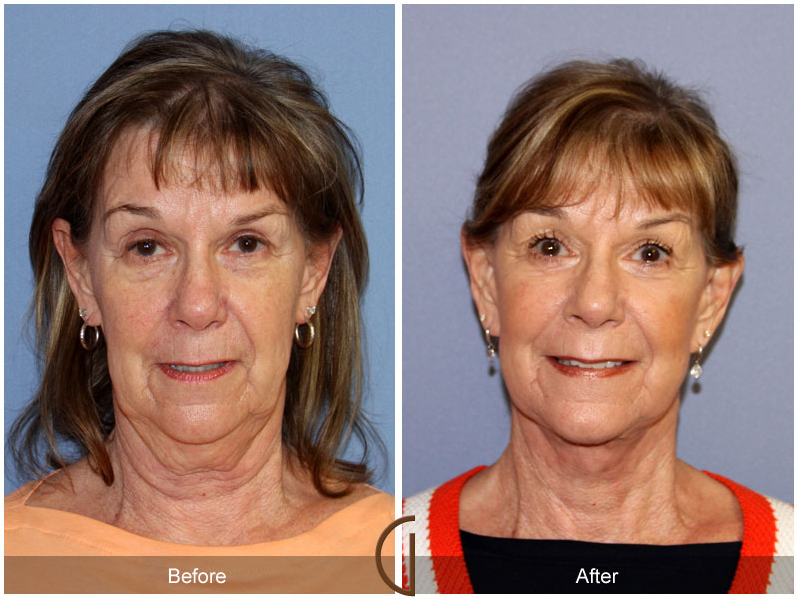 This revolutionary technique is used in lower face and neck lift procedures to provide patients with longer lasting and far more natural looking facelift results than traditional facelift techniques. 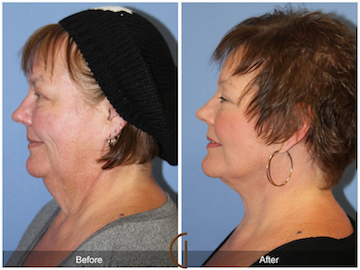 Dr. Sadati’s practice, the Gallery of Cosmetic Surgery, is well-known in the area for its focus on providing patients with natural-looking and long lasting results. The environment is also notably safe, especially with Dr. Sadati’s use of local anesthesia and twilight sedation as opposed to the more costly, more invasive and less safe general anesthesia used by many other providers. Dr. Sadati is known for providing procedures that are highly effective, while using minimally invasive and modern techniques. “I am honored to have been selected as a finalist for the 2016 Best Cosmetic Surgeon,” Dr.